Dreaming of making indie games is, sadly, still just a dream. 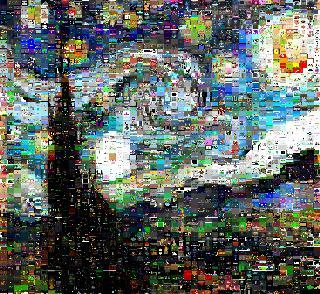 Your game in this mosaic! Its a Ludum Dare tradition! Your mission, if you choose to accept it, is to find your game in the Ludum Dare Mosaic! Click to play the Mosaic Game! Use the LD Map to wonder at the reach of Ludum Dare, and find games to play, and track just how many games you have commented on or have already commented on you! The pin colour shows you if you have already commented on a game or they have commented on your game. The map may take several minutes to reflect recent comments as it uses the excellent Feedback Friends API which scrapes the main LD website periodically. The LD Map is Live! The LD#36 Map is Live! Sate your primeval spirit! Ride the Mammoth! Shoot all the Bison and Boar! And don’t get eaten by the Sabre Toothed Tigers! You may also like my LD Map! Its filling up with pins for LD36 already! Click to view the map for LD#35! But there will be, as its populated live from the excellent Feedback Friends dataset! I’m that annoying chap who spams the LD mosaics every single damn LD recently. Apologies to everyone suffering mosaic fatigue. I do it, most recently without even linking to my own games, because I am trying hard to make LD into a positive community. Now I’m a vocal non-pov-believer re the impossibility of ratings this LD and re need for a new website and everything else, but if we can’t have a normal LD#36 like the 35 LDs we’ve had before, then we will just have to innovate around him..
My big fear is that LD#36 will be a bit of a flop, and the momentum of LD will flounder, and we’ll all be poorer for it. A script running on a server scraped the LD entries for comments and exposed a hastily illustrated map as you commented on games. Artists, to make a gorgeous high-res map. Artists, to make a much prettier interface. Programmers, to improve the scrolling, zooming and revealing. Programmers, to add features such as solutions for when several players have the same or very close locations on the map, filters by game type, and marking when a game has been played or viewed. Its based on a quick glance at https://www.practicingruby.com/articles/ant-colony-simulation but its diverged quite a bit from that. Its rendering ‘debug’ info, showing how the sim works underneath. 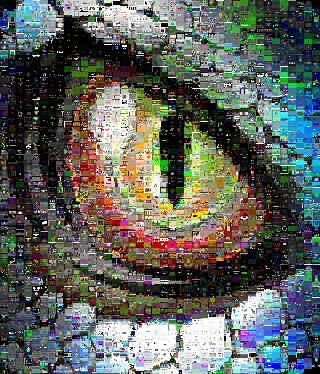 Your game is in this mosaic! A truly beautiful ray-marched cave with classic 3D meshes in the same scene! I you’re making a web game please for the love of all that is LDy be sure to put in a call to canvas.focus() or whatever in your initialization so that the space-bar doesn’t scroll the page you are embedded in! You can navigate around and easily launch games straight from the mosaic. You can also easily filter by platform, e.g. easily find web-playable games! Not showing any JAM games yet, obviously. I have some scripts for making mosaics from LD entry thumbnails, and I have some scripts for scraping the LD website that I made for my LD30 “connecting worlds” entry. 49 queries executed in 0.124 seconds.